Whitehouse Hotel. Photo: Kristin Daggan. 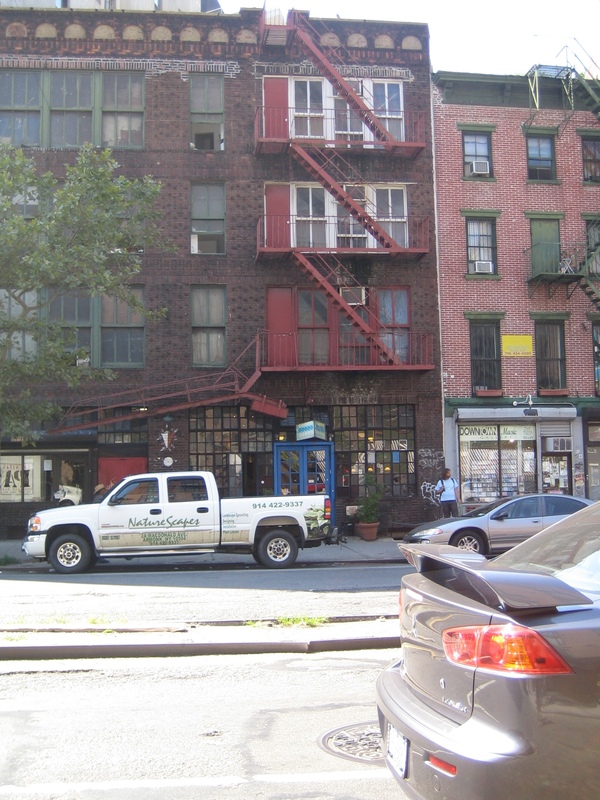 Council votes to include Bowery SRO in NoHo historic district extension. On September 4, 2008, the City Council voted to approve the proposed NoHo historic district extension and ended the debate over whether the Whitehouse Hotel should be included within the district. The approval adds 56 more buildings, all between Lafayette Street and Bowery, to the district. Landmarks voted to designate the area in May after hearing testimony from residents such as artist Chuck Close, elected officials, and preservationists. 5 CityLand 42 (April 15, 2008). Of the six property owners who initially opposed designation, only Metro Sixteen Hotel LLC, owner of the Whitehouse Hotel at 342 Bowery, remained opposed when the issue reached Council. Metro planned to demolish the existing four-story building, which operates as an SRO and is one of the few remaining Bowery “flophouses.” Once demolished, Metro proposed to build a nine-story luxury hotel. Council Member Alan Gerson, who represents NoHo and supported designation at Landmarks, testified that he was working with Landmarks and Subcommittee Chair Jessica Lappin to find a solution that served both the welfare of the Whitehouse’s residents and preserved the integrity of the historic district. Council Member Charles Barron stated that he hoped that “something can be worked out” for the SRO’s tenants, and that he thought people should be given a higher priority than historic preservation or the hotel’s profits. The meeting closed without a vote. When the Subcommittee reconvened on September 4th, counsel for Metro announced that it had withdrawn its opposition to designation following meetings with Gerson and Landmarks. Chair Lappin thanked the owners for making concessions, and called the site “a unique property with unique challenges.” Gerson testified that his office would work with the owners to aid the hotel’s residents and to ensure the “expedited consideration” of applications filed at Landmarks. Council Member Lewis Fidler stated that he was “troubled by the resolution,” and did not see any benefit in designation. Gerson responded that the hotel occupied a midblock site, and that Landmarks’ oversight was necessary to ensure that development was appropriate, and added that his resolution was the best way to take care of the 22 residents “as soon as possible.” Lappin added that, whether or not the hotel was included in the district, the building would not remain in its current condition, and there was no reason for the owners not to have improved the conditions of the residents. Ultimately, only Council Members Miguel Martinez and James Oddo voted against approval. The Land Use Committee met immediately thereafter, where Chair Melinda Katz expressed her discomfort with making an agreement with an agency over which Council had no oversight or control. However, since Gerson had the support of the majority, Katz supported designation. The proposal was passed to the full Council, which also approved. Council: NoHo Historic District Extension, Manhattan (September 4, 2008).